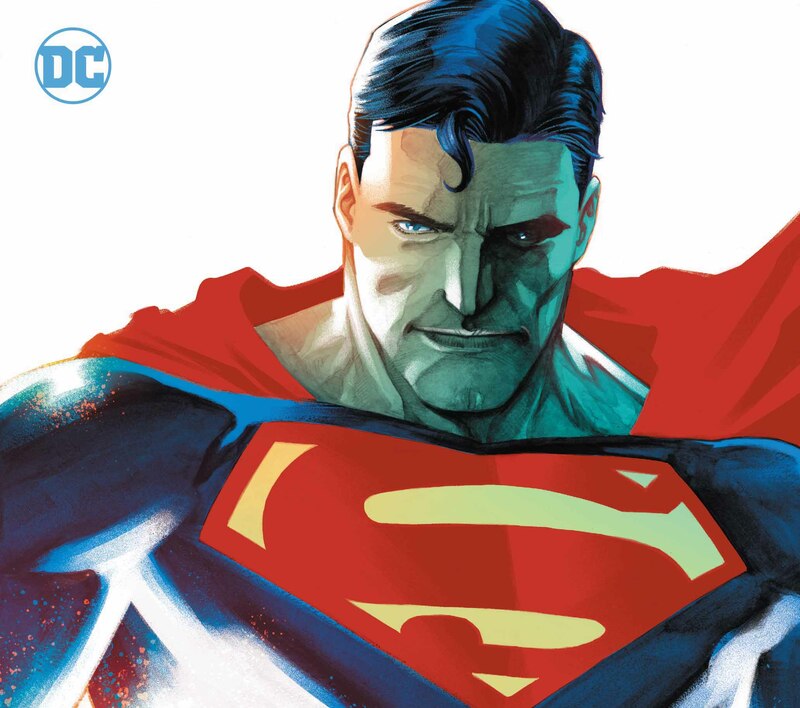 Writing about writing: Brian Michael Bendis talks Action Comics, off-limits stories, and the freedom he has at DC Comics – AiPT! Superman is already getting a new direction from writer Brian Michael Bendis via his six-part Man of Steel miniseries and Superman #1 July 11th. Today, Bendis continues to mold the character further with Action Comics #1001. I spoke with Bendis two weeks ago about the character and other topics, and today his answers that potentially spoil a bit of Action Comics #1001 are below. We delve into the newsroom of the Daily Planet, discuss whether or not there were stories that were off limits, and discuss the new challenges that are inspiring Bendis every day. AiPT! : In Action Comics you’ve got a character named Trish who is basically a gossip rag writer — I would assume — and then you’ve got Lois writing a novel in space. You’ve got Clark trying to find the truth. How deeply are you going to be probing writing in general in this series? Brian Michael Bendis: There are a few projects, now that I look, where I go, “Oh, I’m writing about writing.” Or writing about creating or writing about looking for truth. They are all writers so you can’t help but be writing about writing. What I’m really writing about is everyone writing about truth. And their truths and what is important. Trish gets into it with Clark in a couple issues about what a story is to her versus what a story is to him. Someone like Clark wouldn’t think gossip is a story. But there is actually an art form to it and a reason for it when done well, like everything else. I used to work in a newspaper newsroom. It’s probably what I would be doing if this didn’t work out, so that’s a big part of my DNA. And I don’t think there’s anything more interesting right now than a newsroom. In society, what is going on there? I have literally ghosted modern newsrooms this year. Sat down and took it all in just to watch it happen. AiPT! : Can I ask you a riddle? A man is found dead lying in a field next to a rock. The rock has killed him but there is no blood on the rock or around the body. Who is the man and how did the rock kill him? AiPT! : It’s Superman and the rock is kryptonite. BMB: Awww, very good. Can I use it? AiPT! : Yeah sure. [Both laugh] I had a question about Red Cloud — just sort of about the character herself. What’s the one thing she can never forgive? AiPT! : Has DC told you if there’s anything that is off limits as far as the series? Can you not kill Superman off or anything like that? BMB: I am not allowed to use Miles Morales. I did not know that when I signed on. I don’t know if I would have…no I’m joking. BMB: In our very first meeting it was like, “Oh, we’re on the same page. We want the same things. Think about what stories mean and why we should be telling them.” So we hit the ground running with Dan Didio and Jim Lee and myself with a, “Oh we’re on the same page right now.” I don’t know if 10 years ago we would have been. It feels like we met each other at the right time. It’s not like saying no because I kind of know what I need to do. ‘Action Comics’ #1001 variant by David Mack. Some of these projects that are coming are not only exciting to me creatively but they’re actually like a challenge. More like they are challenging me than vice or versa at the moment. AiPT! : That’s like every writer’s dream. BMB: And having dreamt it for years, and listen Marvel was great to me too, but there’s something going on here where literally everyone clears the lane so I can go nuts. And I have wanted it for so long that I can’t help but feel like Superman, like OK, everyone is expecting me to really deliver. Roll up your sleeves and do it.